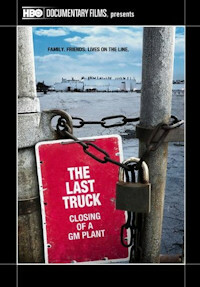 Film Highlight - Steven Bognar: "The Last Truck"
"The Last Truck" is a documentary about the closing of a General Motors plant in Moraine Ohio. Directed by Emmy Award-winning Steven Bognar and Julia Reichert, it was nominated for an Oscar for Best Documentary by the Motion Picture Association of America. The documentary aired on HBO in 2009. Deemed “morose but absorbing” by the Washington Post, the film spotlights the Moraine autoworkers, most of whom are your rank-and-file workers (of the 2,700 jobs lost, 200 were held by managers). Through interviews in the plant parking lot, in local watering holes or the workers’ own homes, the film’s subjects bemoan not only their lost livelihoods but also the loss of America’s manufacturing prowess. Read and hear the interview on National Public Radio and also on HBO.com. 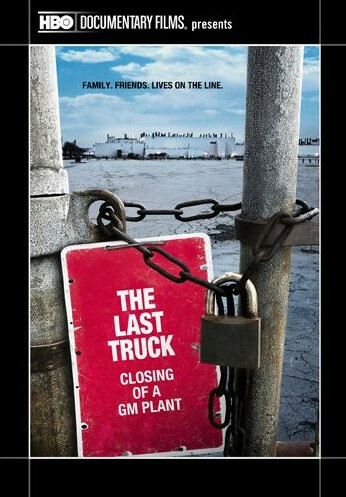 Steve Bognar is an Emmy Award-winning filmmaker and 2010 Oscar Nominee for "The Last Truck," a documentary about the closing of a General Motors plant in Moraine Ohio. He is the son of a proud father and AHF Scholarship Committee Chair, Bela Bognar, a.k.a., "Professor Paprika." All four of Steven Bognar's films premiered at the Sundance Film Festival. His first, the feature documentary, "Personal Belongings," went on to screen in 27 other festivals and won numerous awards. He won an Emmy Award for a "Lion in the House," a multiple award-winning movie giving an unprecedented look at the cancer journeys of five young people, their families and caregivers over a six-year period. His second film, Picture Day, won Best Documentary Short at the Florida Film Festival, screened at the Sundance Film Festival, in numerous film festivals and at the Guggenheim Museum. His third film Gravel also premiered at Sundance and screens regularly on the Sundance Channel. Bognar is former assistant professor of media arts at Antioch College and has worked as a filmmaker-in-residence in schools throughout Ohio. Bognar’s work has been funded by the National Endowment for the Arts, The Soros Documentary Fund, the Creative Capital Foundation, the Ohio Humanities Council, the Ohio Arts Council and Culture Works. He is also a Rockefeller Fellow.